In the operational practice women often encounter myths, which obstruct them in their career planning. 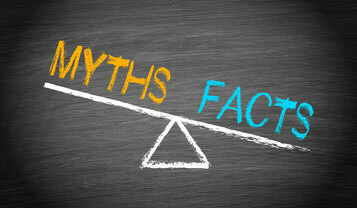 Sometimes they encounter these myths outside – sometimes they believe in them personally. Heidrun Friedel Howe defined six myths in her book entitled “Women and leadership“, three of which we find already before even climbing up the career ladder and the other three refer to female managers already active in organisations. Today, I would like to present the myths 1-3 in more detail. The myths 4-6 will be presented in my next blog entry. Men still mainly occupy the management level - classical managers are expected to have traits, which are said to be mainly male (for example self-assertion, readiness to compete, etc.). This prejudice is the reason for a certain expectation, which distorts the social perception. By that, the behaviour of all persons involved is influenced, insofar as on the one hand male managers take female employees less often in consideration for management tasks, promote them less and give them less constructive feedback. On the other hand, women are often convinced that they are not appropriate for management positions due to a lacking qualification. Women sometimes suffer from a self-underestimation-syndrome, which hinders them to take over manager tasks easily. This syndrome is directly at odds with the male prejudices that women are less risk averse and afraid of success. Instead, it is true that the higher the self-efficiency expectation in this context, the higher the level of personal demand, the higher the readiness to keep on going and to pursue a goal despite emerging resistance and the higher the risk readiness to take over new tasks and responsibilities. However, women are much more critical vis-à-vis their own performances compared to men and tend to attribute failures to their personal incompetence. Furthermore, women believe that their performance is the main and most important reason for a promotion within the company and underestimate (and thus neglect) intra-operational career activities and the benefit of informal networks. Women today interrupt their careers less frequently than before. If an interruption takes place it occurs later in their professional life and after a longer period of occupation. Family planning is less often the reason for an interruption. The duration of a career interruption, particularly on a higher management level, is shorter now than it was before. Women experience a stronger performance pressure than men. Female managers receive more attention from their environment and are thus committed not only not to make errors but also to be better, more efficient and more precise in their actions than their male colleagues. In doing so, however, they sometimes forget that they need to promote also their personal goals and their own career. Female managers are not so experienced in doing self-marketing like men. The transmission of their personal qualifications and competences is neglected because still many women are convinced that the quality of their work is sufficient to attract the attention of their superiors and every other information would be seen as arrogant and showing off.